If you are concerned about how your medical information is shared please read the information leaflet below. 19/2/14 - Please note the implementation of this scheme has now been delayed for approximately 6 months. 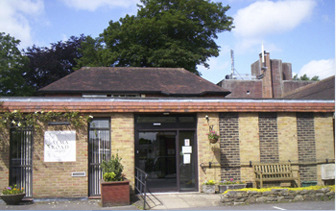 We are a nine doctor practice in Romsey in the South of England, UK. We have approximately 14,000 registered patients. We aim to offer a personal service and as often as possible patients will see their own doctor. As a patient you have the right to express a preference as to which doctor you see. The evolution of the practice over the past 170 years has allowed us to provide a thoroughly up-to-date service while retaining the best features of more traditional General Practice, in which continuity of care has always been of paramount importance. We are fortunate to have Romsey Hospital on our doorstep, where together with the other Romsey Practices we have actively encouraged the development of a comprehensive range of outpatient, rehabilitation and some surgical services. We have records of the Partnership from the early 19th century. In 1965 the existing premises were built and two major extensions have taken place since then. In 1995 we acquired the old Telephone Exchange next door and this has been converted for surgery use. In addition to reception and secretarial areas there are eleven consultation rooms, five treatment rooms used by Practice Nurses and Healthcare Assistants , all with a full complement of up-to-date equipment. There is wheelchair access and toilet facilities for the disabled, as well as a nappy changing area.